CANNA avoids steam sterilizing because of its many disadvantages. One is the mediums' loss of the ability to naturally protect crops against harmful molds like Pythium. Steaming also converts plant usable Nitrate nitrogen to plant toxic Nitrite nitrogen. Steaming also changes the structure of the coco and as a result it retains more water, which is not a good thing. This substrate combines the tolerant, organic nature of soil with the precision of rock wool. Due to the special characteristics of the substrate the coco nutrient doesn’t have a Vega and Flores version, but there is one unique formulation for both growth and blooming phase. We can’t make things easier! 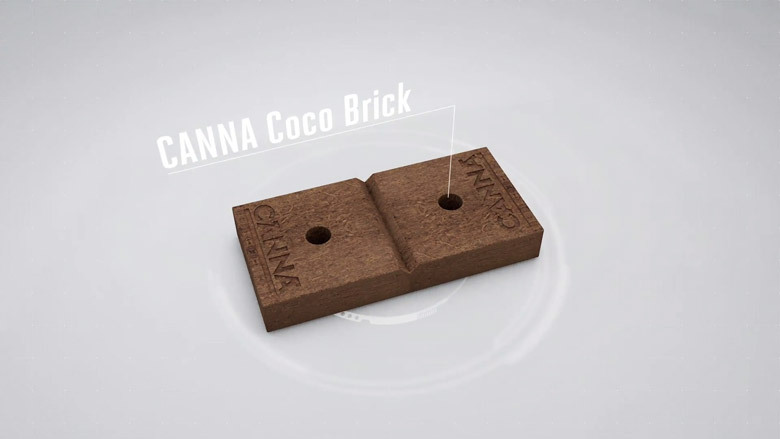 The CANNA COCO Brick is made from the highest quality ingredients. It is washed and buffered, not steam sterilized and RHP certified for horticulture. The specially designed hole causes the brick to expand faster than you have ever seen before. 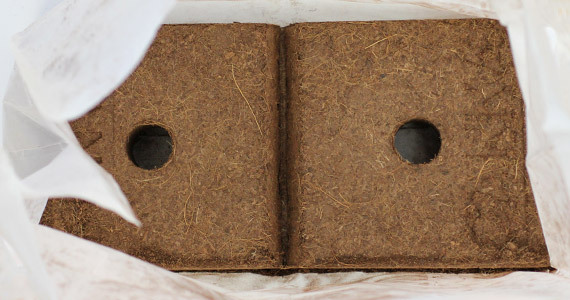 The packaging of each separate brick is in fact a bag in which the brick is designed to be soaked or wetted. On top of that, the bag has grip handles which makes it very easy to carry the prepared coco to your pots, bags, beds or wherever you want it to go. 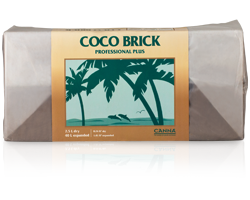 One Coco Brick makes 20 liter of coco. The fracture line makes it very easy to break the brick in two equal parts of 10 liter if smaller portions are desired. Due to the compact nature of the brick it is very easy to store and transport. And the Coco is also suitable for re-use.